Nick Saul, President & CEO of Community Food Centres Canada, poses for a photo at his Toronto office on Friday, August 5, 2016. The word "dignity" isn't heard often in conversations about food. But if you spend more than five minutes talking to Nick Saul, you'll find it peppered through the discussion. His organization, Community Food Centres of Canada, is spreading the message of "good food for all" across the country by creating community food centres – not soup kitchens and not food banks – that nourish, teach and empower people who don't have access to healthy nourishment. They have become living, growing organizations that connect people to their food, to each other and to their sense of self. In 1998, when Saul became director of The Stop Community Food Centre in Toronto's Lansdowne and Dupont neighbourhood, his primary interest was poverty. As he became more immersed in food culture, he saw how food connected people to bigger issues of health, happiness and justice. "All people have a right to healthy food and to be treated with dignity," he says. "Food is the ultimate connector. We all eat. We all celebrate around food. [But] food divides us as well. There are the people who have the means to go to the farmers' markets and search out specialty items. And there are those who are left eating items from a food bank that can be high in fat, sugar and salt." Under his 15-year leadership, The Stop has grown into a dynamic centre that breaks the mould of how those in need can access good food. There is a chef who cooks local, seasonal dishes for clients; there are gardens staffed with experts who mentor would-be gardeners. There are women's drop-ins, libraries, after-school programs and lots and lots of cooking classes. At the national organization, Saul, 50, is seeding the success of The Stop to other parts of Canada. Since 2012, the CFCC has overseen the opening of community food centres in Toronto's Regent Park, Dartmouth, N.S., and Winnipeg. This fall, they'll establish one in a beautiful space in Calgary. At the heart of The Stop, and now at eight community food centres across Canada, is the recognition that food, health, justice and community are all intertwined. Each centre is attuned to local needs but their mission is to enhance skills, create access to nourishment, advocate for food-justice policies and build stronger, healthier communities. The centres are vibrant places, filled with people of all ages and walks of life engaged with food – and each other – in many different ways. But one glance at the tables where people sit eating, and you know that some of the diners have long and difficult stories to tell. It is those stories that Saul loves to hear and they come easily as people break bread together, or sip their soup made from local ingredients, beautifully garnished and thoughtfully served. "When I can tell the stories about the people I meet, I can talk about how change happens here. The public policy realm is where real change happens; you have to keep talking about the reasons why people are hungry and poor," he says. "Hunger isn't about lack of food; it is about lack of money." 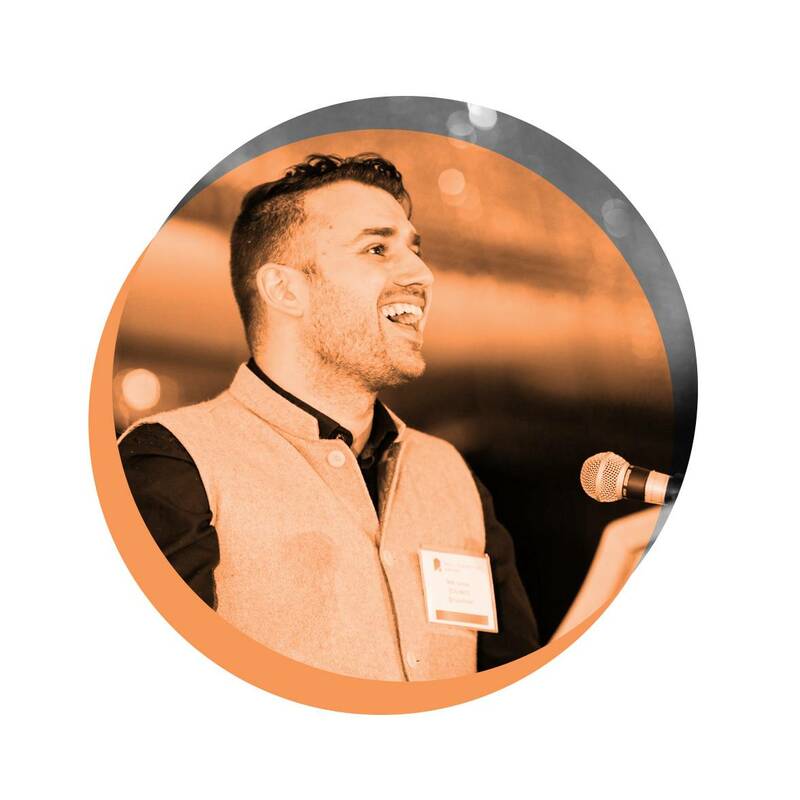 Saul's passion and charisma take him from chatting at the drop-in centres to fundraising in boardrooms and hanging out with the country's top chefs. I know from personal experience that when he asks you to be involved with his vision it is hard to turn him down – for a number of years, I was on a fundraising committee at The Stop. He won the Jane Jacobs Prize and just received an honorary degree from Ryerson University. But don't ask him about going into politics. "I have a family," is his way of saying no. Saul tries to bring the values of the Community Food Centres home with him as well. He grew up partially in Tanzania and Mozambique in an engaged, political family. "My dad was a great cook and we always ate together. Our world was bigger than our table." He says he is relentless about putting healthy food on his table and talking about global issues with his two boys. He and his wife try and divert the amount of waste hitting the compost by meal planning and by being vigilant about checking the fridge before they go grocery shopping. He even suggests rotating the older items to the outside so it's the first thing you see when you open the fridge door. I gave Saul the challenge of suggesting a meal that would encompass his values of using healthy, inexpensive items that also cuts down on food waste. He quickly suggested a rice bowl, which is a favourite meal in his house. It is a good way to use up veggies that are starting to wilt and any leftover protein from another meal. Saul suggests chopped up carrots, celery, kale, cabbage and quick pickled onions on a bed of brown rice or quinoa as a start. Add on any tangy, sriracha-based sauce (or whip up the one in the recipe below), top it with a fried egg, and it is a meal that can be served with dignity in any kitchen in the country. Rice bowls, such as this one with salmon, are a great way to repurpose leftovers. This is simple, tasty and a great way to use up leftovers. I grabbed the veggies already in my fridge for the recipe, so please use whatever you have on hand: a couple of carrots, a few green beans, some wilting green onions, kale, baby spinach, a handful of arugula, what-have-you. The tougher vegetables go into the skillet or wok first, followed by the softer ones and finishing with the greens. Although I am cooking the salmon on top of the vegetables, you could just add leftover meat to the stir-fry at the end. You could also take a more salad-like approach: Cook the salmon with the marinade; chop cucumber, avocado and green onion with some arugula; place on top of the rice then top with the cooked salmon and any marinade. My way of cooking brown rice is very easy – I cook it like pasta, in lots of water, and the result is light and tasty. I prefer brown basmati rice if available. Bring a large pot of salted water to boil. Add rice and boil until rice is tender, about 25 minutes. Drain rice and return to pot. Cover and steam for five minutes. Reserve and reheat when needed. Combine ginger, garlic, soy sauce, sesame oil, maple syrup and sriracha. Place salmon in a bowl and toss with half of marinade ingredients. Add stock or water to remaining marinade and set aside. Heat oil in large wok or skillet. Add leeks and any onions and sauté for one minute. Add cauliflower, mushrooms and green beans to leek and onion mixture. Toss everything together until lightly browned and mushrooms begin to exude their liquid, about three minutes. Stir in spinach or kale. Add salmon and its marinade on top and pour in other half of marinade. Bring to boil, cover skillet and cook for about four minutes or until salmon is still slightly pink. Stir cornstarch mixture into vegetables and bring to boil, stirring until thickened. Place rice in four bowls and top with vegetables and salmon. Garnish with sprouts and cilantro sprigs. Yoni Freedhoff does not shy away from controversy. Over the past decade, he has emerged as one of the country's leading voices, calling critical attention to everything from junk food marketed at children, to the fast-food chains in hospital food courts, to the major flaws in Canada's Food Guide. But Freedhoff didn't start out his career intending to be a nutrition and food marketing watchdog. It's just that, as a family physician in Ottawa, he kept seeing more and more patients come in for help with weight problems. He was inspired to focus his practice on what he recognized as a serious rise in Canada's obesity problem. 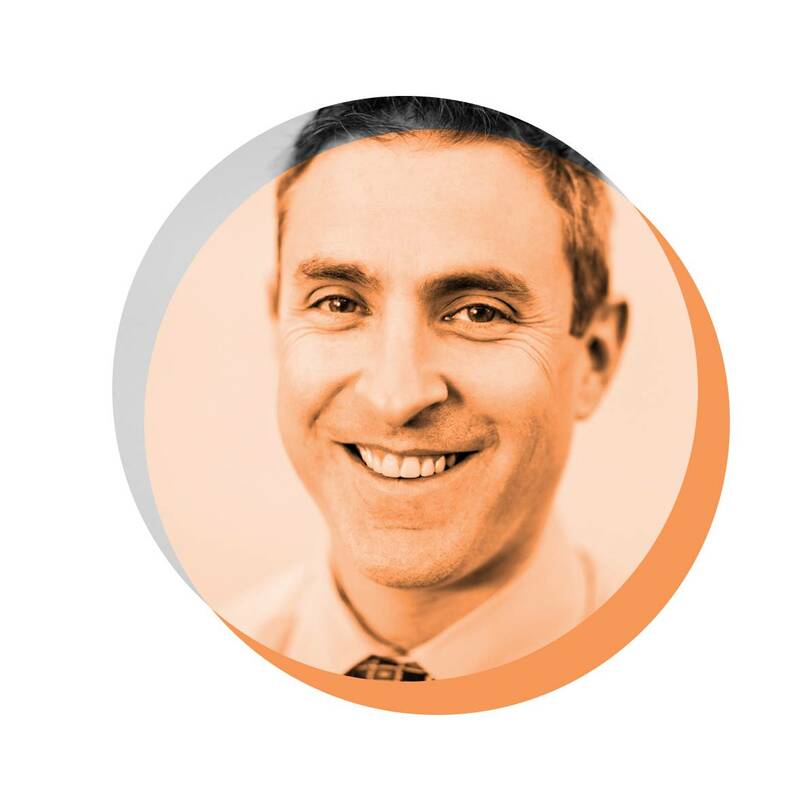 In 2005, he became one of the first Canadian physicians to be certified by the American Board of Obesity Medicine. That same year, a friend suggested he start a blog to chronicle his observations. At the time, Freedhoff didn't even know what a blog was. Today, his Weighty Matters blog is considered essential reading for anyone interested in nutrition, obesity or marketing. He's had a powerful impact. He was one of the first critics of the Heart and Stroke Foundation's Health Check program, which allowed companies to pay to receive a healthy "check mark" on products that met certain nutritional criteria. Freedhoff labelled it a perfect example of "health washing," saying that Health Check was all too frequently doled out to foods that were high in sodium, sugar, fat or calories. After facing years of mounting criticism, the foundation pulled the plug on the check two years ago. When he's not seeing patients at his Bariatric Medical Institute, Freedhoff continues to crusade for changes. 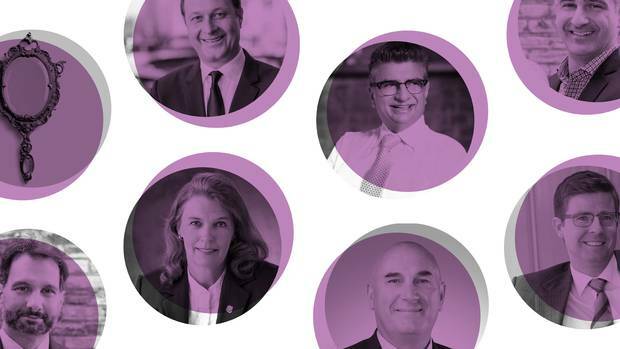 One of his biggest targets is Canada's Food Guide, which he says bows to industry interests and is filled with bizarre advice – such as the emphasis on red meat, or the inclusion of fruit juice as an equivalent to actual fruit. The 45-year-old father of three says it's his children that inspire him. He sees how unhealthy food is used to entertain, reward and placate children from an early age because it's happened to his own kids. Getting a handle on Canada's obesity crisis means confronting that very real problem. 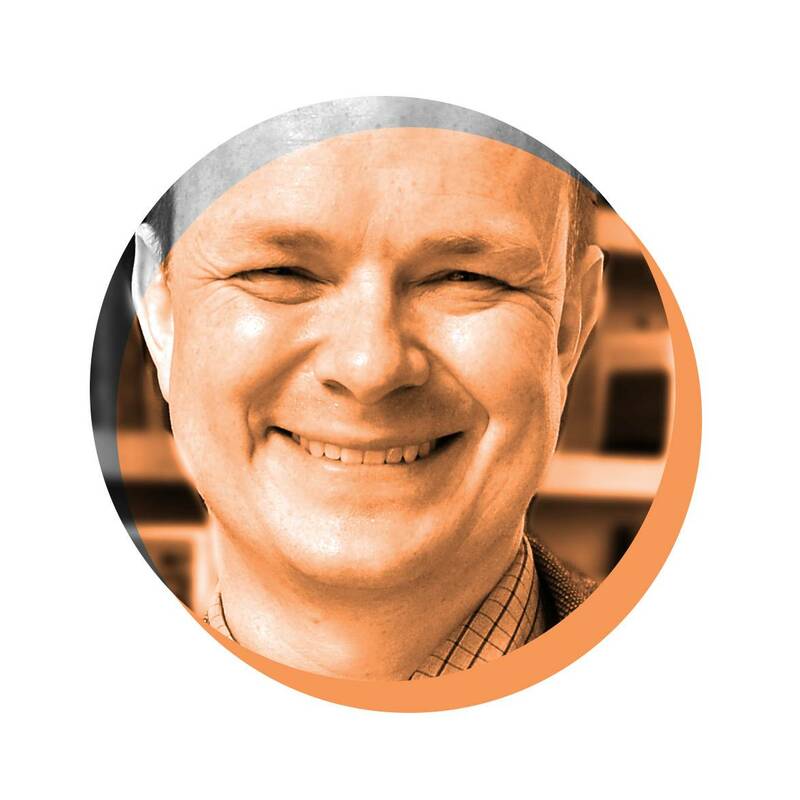 In 2008, Ian Mosby was researching the history of Canada's Food Guide, spending his time poring through old federal documents. That's when he first noticed something unsettling: Sprinkled throughout the seemingly benign bureaucratic memos were repeated mentions of "Indians" in relation to what sounded like scientific experiments. What Mosby eventually uncovered – that, between 1942 and 1952, officials with the federal government conducted nutritional experiments on children in Aboriginal communities and residential schools, including occasionally withholding food and vitamins – would send shock waves across the country. In the months following, Mosby, a food historian and, until recently, a postdoctoral fellow in the history department of McMaster University, travelled across the country to speak with survivors of these experiments and hear their accounts. "The stories are haunting," he later wrote on his blog. "The things that these individuals had to live through – the things that were done to them as children – are truly shocking in both their brutality and in their scale." "It sort of spoke to the larger issues around residential schools," Mosby says now. "How could everyone involved in residential schools, who had overseen all this abuse, not done something about it?" Much of the research Mosby does follows a similar template: Using the history of food to explore broader social and cultural themes. He has written extensively about the politics of food during the Second World War – how Canadian housewives were encouraged to aid the war effort by becoming "housesoldiers" through rationing and menu substitutions. He's also written about "Chinese Restaurant Syndrome" (and the false idea that MSG causes illness) and how such fears were based, in part, on racism and "long-held suspicions that Chinese culture and practices were somehow unclean, excessive, or inscrutable." His blog, meanwhile, collects his thoughts on an eclectic mix of subjects – everything from the Joe Beef cookbook, to the McDonald's "Our food. Your questions" campaign. "Food is simultaneously cultural, it's political, it's about ethics, it's about economies," Mosby said. "It really ties together a lot of separate, disparate threads about our lives, and you begin to learn about how people lived in a way that we wouldn't be able to do [otherwise]." These days, Mosby is continuing his research on nutrition in residential schools – and looking for a new job to help fund it (his fellowship at McMaster ended in June). In particular, he hopes to better understand the long-term impacts of hunger and malnutrition on these communities. It's an old story: Understated Canadian overshadowed by bold American rival. In this case, the unsung hero was Canadian whisky, whose light was practically eclipsed by the past decade's American bourbon boom. 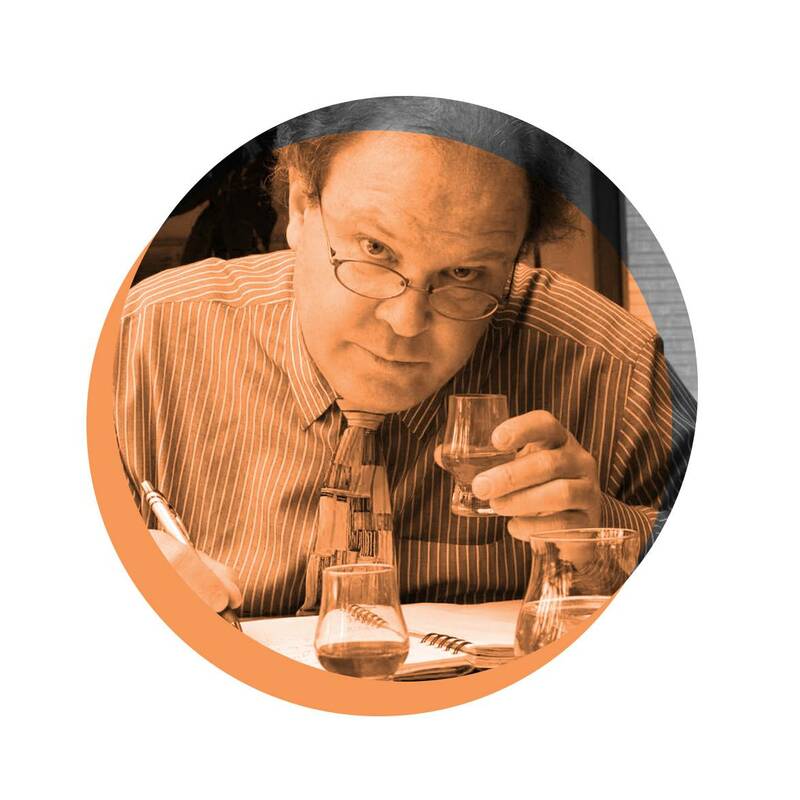 Fortunately for Canada, though, whisky had someone in its corner: namely, Davin de Kergommeaux, local hero, educator and author of Canadian Whisky: The Portable Expert. Published in 2012, the long-overdue book has been instrumental in boosting the profile of our national hooch. In the past five years, de Kergommeaux has been our whisky industry's unofficial ambassador, which has involved cajoling foreign drinks writers to visit and sample the local offerings. His tireless efforts have been invaluable in communicating the country's spirited history and unique production methods. It's working, too: We're finally getting a little more respect, here at home and also abroad (whisky snobs may hate this proof, but: Crown Royal's Northern Harvest Rye did earn the World Whisky of the Year nod from big-shot Jim Murray earlier this year, after all). Formerly a civil servant, de Kergommeaux came by his interest in whisky honestly – his doctor suggested a daily tipple might be good for him. His health regimen started with wine, a gateway drink, and he then applied his self-described "obsessive personality" to Canadian whisky, quickly establishing himself as the foremost authority on the topic. Several well-known spirits writers in the United States credit de Kergommeaux with single-handedly helping raise awareness of the hidden gems that we make here in Canada. Since 2013, Jane Rabinowicz has been the director of the Bauta Family Initiative on Canadian Seed Security, a conservation program devoted to safeguarding Canadian-grown organic seed reserves. Spread across the country, her team monitors the state of seed security in Canada – the ability of farmers and growers to gain access to quality seeds, even after poor growing seasons – and designing an enterprise to address it. It's a project beset with challenges, including a devastating loss of plant biodiversity due to things such as large-scale production of a small selection of crops. According to Bauta's internal figures, 65 per cent of the rice we consume comes from four varieties, even though thousands of types exist worldwide. Stemming from this is an over-dependence on these few types (half of the corn we eat is from just nine varieties) even as corporations control the lion's share of the seed bank. "Agriculture begins with the planting of the seed and ends with the harvesting of it, storing that seed and planting it the next year," Rabinowicz says. "If you're reliant on external sources for your seed supply, you really aren't food secure. Seed is the next frontier of the local [food] movement." What's your desert island drink (other than water)? Oh man, I love sparkling water. If I could have bubbly water on the desert island I'd be in heaven. If you could eat dinner tonight at one restaurant (other than yours), where would it be? I would love to see what's on the summer menu at Gramercy Tavern in NYC tonight! I've been thinking a lot about how well they're able to produce gorgeous seasonal food and flawless service in a reliably consistent way. Fill in the blanks: I'd rather – go hungry – than eat – processed, low-fat food. What's one thing you'd fix about food or restaurants in Canada today? I'd make it easier for cooks and servers to make a decent living. It's a real problem that restaurant jobs aren't reliably secure and well-paying. Related: a) tipping b) no tipping? Why? I say no tipping, but with the accompanying raise in prices so that wait staff make a living wage. The ritual of tipping does not adequately include all of the hands involved in great meals and service, and restaurant jobs should be more secure. Staff will be able to offer consistently great service to customers when they're not constantly trying to sing and dance for tips. This could also go a long way in building a bridge between front and back of house. 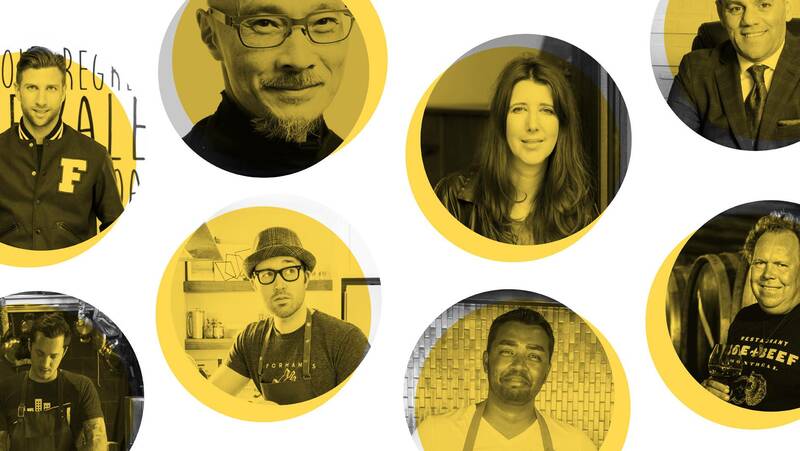 Who is the next big name in Canadian food? In my dreams, the next generation of folks celebrated in Canadian food culture is the producers. I'd love to see our farmers enjoy some time in the spotlight for the incredible work they do. We don't take the task of growing our food nearly seriously enough. Honestly, I think it's sous-vide. I may lose some of my stripes as a chef for saying this, but the idea of cooking food in plastic in hot water doesn't feel right to me. I agree that the final result is wonderfully tender and flavourful, but I'm not convinced that the expense, waste and potential plastic leaching are worth it. The Rebar Modern Food Cookbook is from a lovely café in Victoria. It's the one cookbook in my collection with the most stained pages. It's a book full of thoughtful food and everything I've prepared from it is simple and delicious! Neither! There are so many reasons why people are vegetarians, but the truth is that we could all benefit from a more plant-forward diet. I come from a culture where vegetarian food is pretty standard and always available, so accommodation for vegetarians is quite normal for me. But beyond all of this, I believe that going vegetarian even just one day a week is perhaps the single most impactful thing that individual people can do to combat climate change, and chefs really need to start embracing this idea. Marinated flank steak with a pile of greens! It's one of my favourite weeknight dinners … I always imagine that I'll use the leftover steak in a sandwich the next day, but somehow I never seem to end up with leftovers. Maharaj's food is thoughtful, skillfully prepared and wildly delicious, telling a beautiful story on just one plate. I'm working class (blue collar) English. So… mug, teabag, boiling water. Milk, sugar. Done. If you could eat dinner tonight at one restaurant, where would it be? Since I play soccer tonight, I'd likely eat earlier and load up with a pizza from the Italian pizza oven at The Curious Cafe, Kelowna. Aside from the pizza being great, Luigi the owner gives me rides to the game, so I kind of have to! Fill in the blanks: I'd rather clean the barbecue with a toothbrush than eat barbecue sauce. What's one thing you'd fix about food in Canada today? I think we need improved convenient access to local products and support of small growers(both existing and supporting a new crop to allow them to enter the market). The average age of a farmer in Canada is almost 60 and we must make farming a viable business model for a new generation if we want to have thriving local food systems in the future. That's why I founded a tool connecting consumers to their local food and drink options, helping them find out who grows, raises and produces what within a 100-mile radius of anywhere in Canada and the U.S., along with how to purchase in a way that's convenient. I personally prefer the many small names of all my local farmers, advocates and champions working to support their communities. And I love that I get the opportunity to know those names and look in those eyes. The new Pokemon app (you didn't say "in food"). Jennifer Schell's The Butcher, Baker, Wine and Cheese Maker series, which covers B.C. from the coast to the interior. I suspect you need some higher power to resist bacon, so I guess living saints. Anything I make with my daughter and son. She is 5 and pretty adept, and goes by "Head Chef." My three-year-old son is known as "Apprentice" and basically gets told to move out of the way a lot. My daughter makes up recipes as we go, refusing to use anything written down and is pretty darn great. Dishes usually resemble something edible, mixed with plastic cupcakes for dessert, and nothing tastes better to me. Dad jokes, Spanish and English blood and a desire to make a difference: A reserved cheese, which leaves grease stains and an impression on an unsuspecting North American palate. Two stars for effort. Happy Planet Extreme Green Smoothie (gotta keep up your fibre). Artisanale French Country Cooking in downtown Guelph. Fill in the blanks: I'd rather have a heart attack than eat KFC's Double Down – no, wait, having a Double Down is a heart attack (it has 610 calories, 57 per cent of your daily recommended fat, and 78 per cent of your daily recommended sodium). I'd try to ensure the food we've got is wasted less and better distributed. There is enough food in the world for all, yet we waste one-third of all food that's produced: The food we have is so badly distributed that close to 800 million people are undernourished while close to 2 billion are overweight or obese. In Canada, more than 850,000 people use food banks each month. 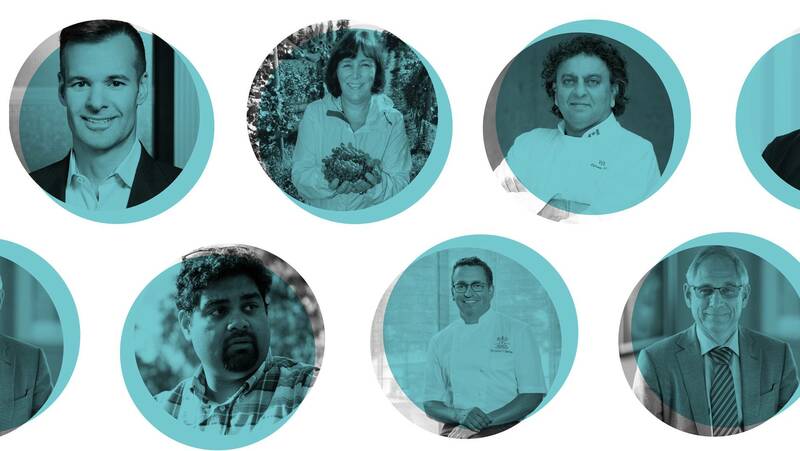 Who are the next big names in Canadian food? Kelly Hodgins and Maggie McCormick. Kelly manages the Feeding Nine Billion Challenge that provides educational programming for undergraduates about sustainable food systems across Canada. Maggie is the communications officer at the University of Guelph Food Institute. A lot of my colleagues argue that the world needs 70 per cent more food to ensure production keeps up with population growth. But if we waste less, eat diets richer in fruits and vegetables, devote fewer hectares of farmland to oils and sugars and distribute the food we already have better, then we could feed over 10 billion without increasing production. This will save land, make us all healthier and require fewer inputs like pesticide and water. The Flavours of Canada by Anita Stewart. Saintly pains in the bum. While I love eating meat, and I am convinced that animals are a vital component of a well managed agro-ecosystem, meat production also causes huge environmental impacts such as water pollution and greenhouse-gas emissions. So we probably need to eat less meat and need production systems that are easier on the environment. In other words, meat production is a major sustainability issue that consumers and producers alike have to address. 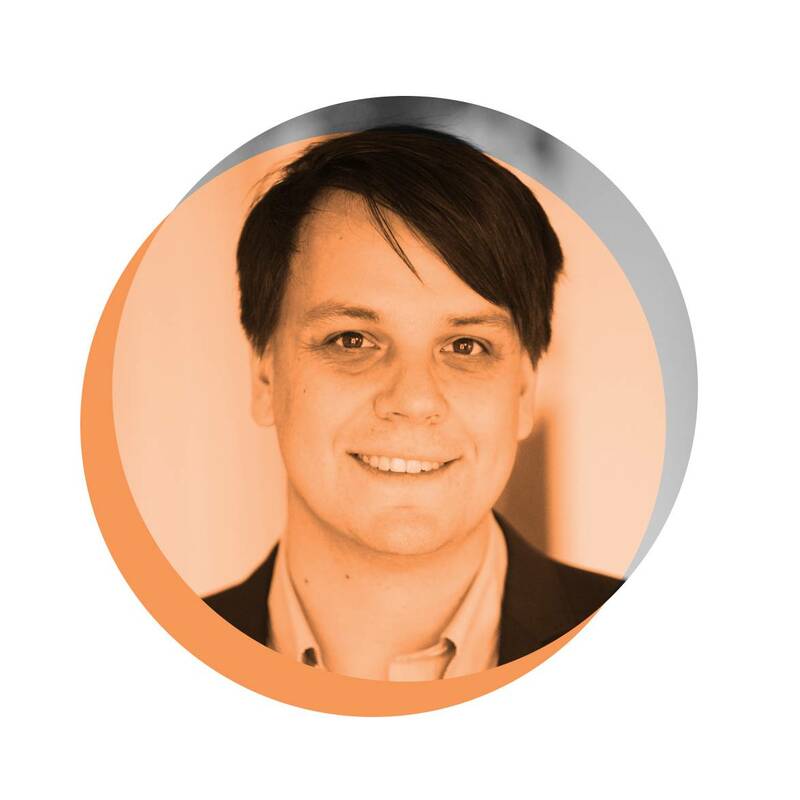 Evan manages an interdisciplinary initiative aimed at developing food systems able to sustainably, equitably, safely and nutritiously feed the world's growing population.